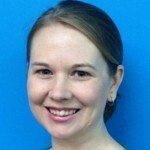 Dr Jemma Gibcus is a freelance consultant and writer based in Melbourne. Meeting the Sustainable Development Goals: How Can International Volunteers Contribute? Dr Jemma Gibcus, Thursday, 10th December 2015 - Volunteering will play an important role in achieving the latest United Nations Sustainable Development Goals both locally and globally, writes Dr Jemma Gibcus from Australian Red Cross.